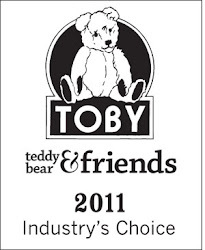 Every now and again I feel the urge to reiterate the issues I have with supply and demand for my bears. 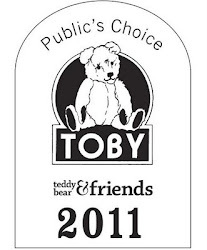 I am eternally grateful that after coming up 12 years of making my bears that people still want to buy them . I do have ongoing concerns about the best way to make bears available so that everyone who wants a bear gets a fair chance. So in the interests of fairness I have for some time put a PayPal button on the page for each bear. This means that when the bear is still available if you hit the 'pay now ' button first you will get the bear. That is fair and gives everyone an even chance. I always state the time the bear will be 'going live' on my Facebook page and if you are on my mailing list you will get an email with a picture of the bear giving notice of the imminent bear being revealed and the time. However , in the interests of absolute fairness I just cannot presell the bears. I cannot accept payments before the bear goes live and I cannot let anyone jump the queue. Very occasionally I will offer a first option on a bear to a person who has missed out on several bears. 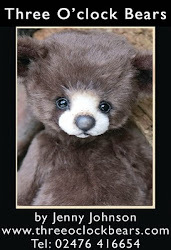 If I do send you photos its on the understanding that if I don't hear from you within a certain timescale, taking into account time differences I will sell the bear. Being fair is part of running an online business and I cannot break the law. If you are unsure of anything I have all my legal obligations clearly visible on my terms and conditions page. What has prompted me to write this is that I have for some time had an uncomfortable sense that things are not as crystal clear to everyone as they should be. Yet I have always operated fairly. Also I do get asked for layaway, and I understand why, my bears are not a cheap item and people like them. That said with layaway comes problems and I do not want to engage in those problems. The problems are collection of instalments, many people do not keep to the instalments and I end up chasing them, the I have a bear who needs to be resold months after I made it. Then people have a habit of seeing another newer bear they would like to own and they want to swap. This causes problems and in that case I have the right to refuse and that causes bad feeling. So in the interest of my sanity and my cash flow I am not offering layaway in any form. It sounds mean spirited and not what people want but I know that teddy bears can be bought on a whim at times ..and layaway can be taken on lightly and impulsively only to realise a month down the line that actually, that bear isn't going to fit into the hug..and I can't afford it. Leaving me to have to deal with it or chase people for money when I haven't the will or the wherewithal to do it. I really hope you understand this! You have stated it clearly and I'm sure every one understands. your bears always go so quickly when i checked up in the morning, they are already adopted. I fully accept that its hard to pin down a time that suits everyone. I have released them at 2 pm which is good for many people in the eastern hemisphere but when I did that people in the Western hemisphere complained!! I have done it at 11 pm too! hard to get it right!